My Algebra 1 classes managed to get a bit off schedule of one another this past week. So, I declared Monday to be a "Catch-Up Day." My classes that were behind were given our latest assignment and the class period to work on it. My classes that were caught up worked on finishing the assignment they had already started and working on any other missing assignments. My classes that were ahead of my other classes were given the chance to "Maximize the Sum." This is yet another puzzle that I found in Puzzle Box, Volume 3 (affiliate link). Yes, I know I seem a bit obsessed with this series of puzzle books. I promise it is for good reason! Students are given a grid of 25 numbers. 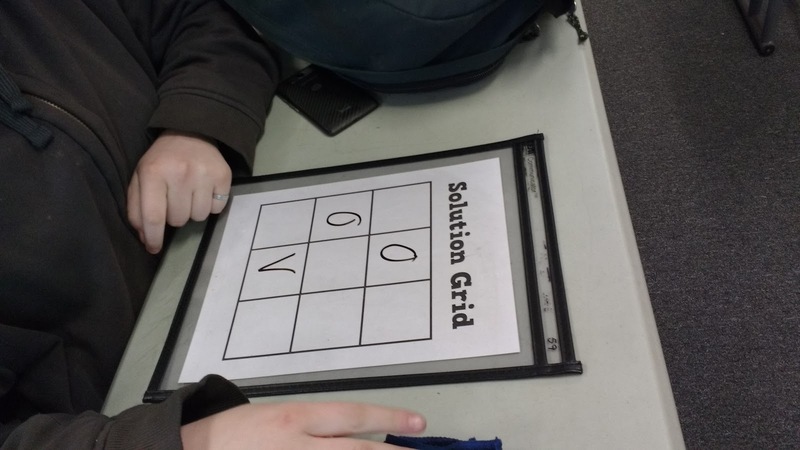 Their task is to circle five numbers from the grid that will maximize the sum. There is a twist: no two numbers can be circled if they are in the same row or column. So, you will end up with one number in each row and one number in each column. My students had a hard time understanding these rules despite reading them (at least I think they read them!) and my going over the rules at least twice. 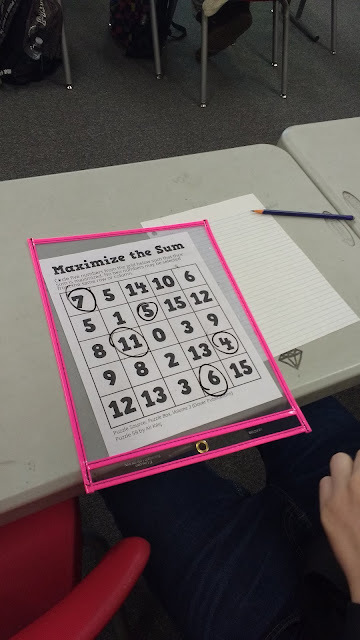 I printed off the puzzles and slid them each into a dry erase pocket (affiliate link) so that students could easily change their circled numbers after finding the sum. I had students yell out their sums as they found them, so that students would know what the "sum to beat" was. 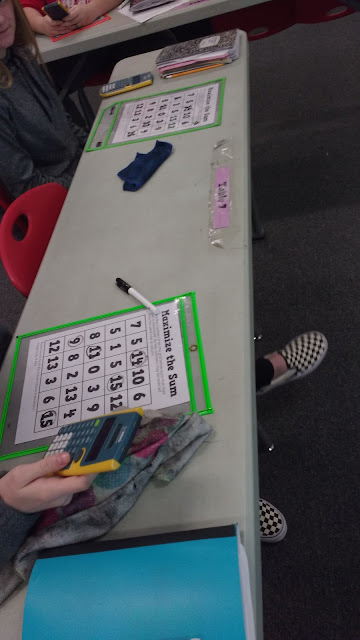 My students ended up coming up with a higher sum than the answer key at the back of the book said, so I'm pretty confident we maximized the sum. When I solved this puzzle, I found it very interesting that my first and second approaches to the puzzle which I thought would maximize the sum actually didn't! This puzzle didn't take my students very long at all. We were completely done with the puzzle in less than five minutes. So, this one is great if you are short on time! I've uploaded the file for this puzzle here. 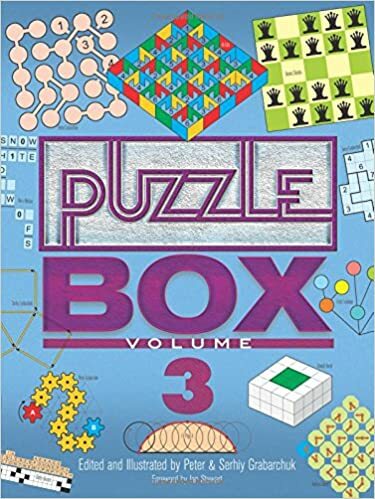 I can't recommend checking out the Puzzle Box books (affiliate link) enough for other puzzles to use in your classroom! A new week of school means it is time for a new puzzle for the puzzle table. Last week, my students attempted to Cover the Duck. If you tried last week's puzzle with your students, you are in for an extra treat. 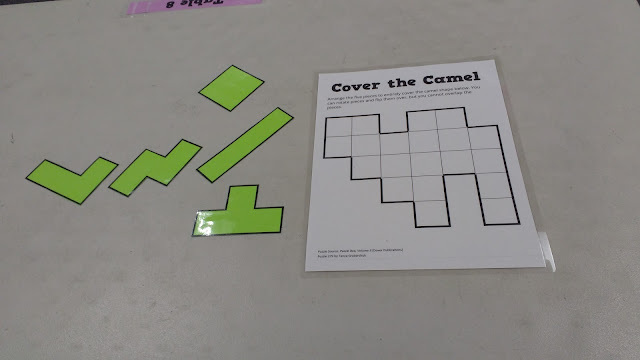 This week's puzzle, Cover the Camel, uses the EXACT same pieces! You will only need to print out a new puzzle board with the camel shape instead of the duck shape. This puzzle, like last week's, is by Tanya Grabarchuk and can be found in Puzzle Box, Volume 3 (affiliate link). If you can't tell by now, I ADORE this series of puzzle books. The goal of the puzzle is to cover the entire shape with the five pieces. Pieces can be rotated or flipped, but you may not overlap the pieces. This puzzle is a pretty quick solve compared to some of the puzzles that I've featured on the puzzle table in the past. 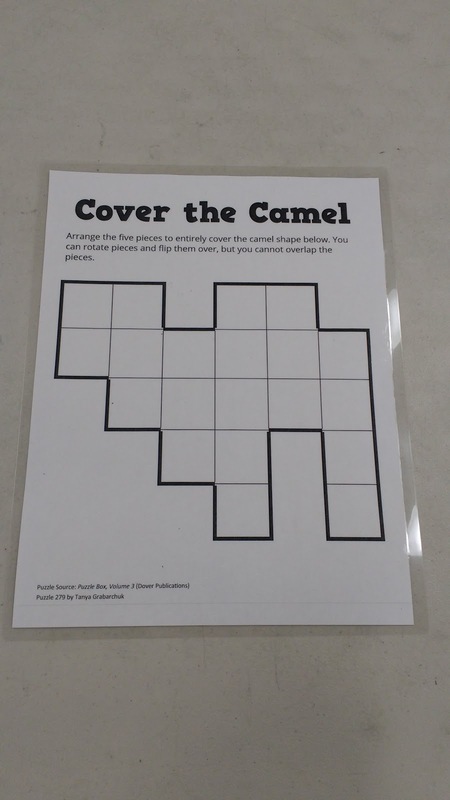 It might even be advisable to put out the Cover the Duck puzzle and the Cover the Camel puzzle at the same time. Happy Monday! Once again, I'm sharing some of the awesomeness I've ran across on twitter and in my RSS feed over the last few weeks. 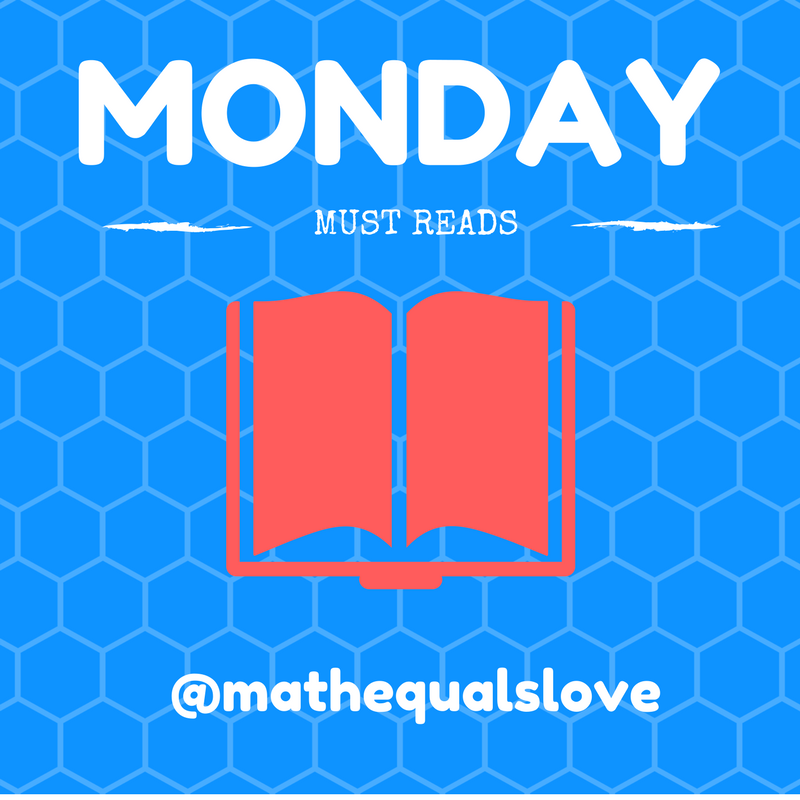 I'm declaring these "must reads." 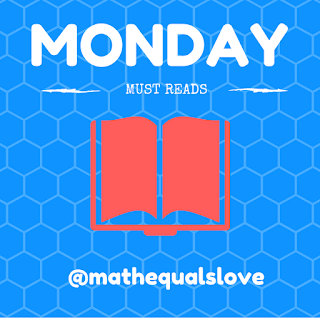 Julie Morgan is sharing more angle-awesomeness over at her blog, Fraction Fanatic, this week. Amy Roediger shares an awesome stoichiometry puzzle that I believe all chemistry teachers need to check out! Check out Amy's blog here. Need an image to introduce the idea of function composition? Steve Phelps has got you covered. Steve also shares a statistics labs where students compare the percentage of marshmallows in name brand Lucky Charms versus the store brand. Gwen Bergman knows how to bring to life the real-world applications of math. Check out this lesson! 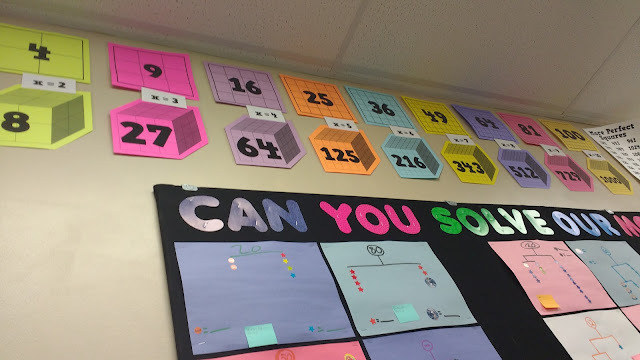 MrsDillMath shares the results of a student project that combined writing equations, creating initials, and 3D printing. Awesome work! Allison Kipping has made a small change to her classroom desks for the new semester, and I think it's a brilliant idea. 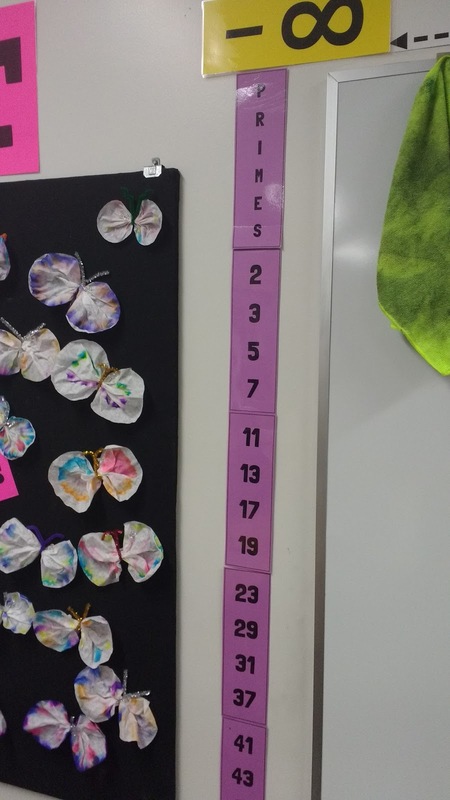 Texas Teacher shares a fun estimation activity to get students talking and sharing ideas. Allison Hartwig has combined two of my loves: M&Ms and Systems of Equations. I can't wait to adapt this activity to use with my own students! I'm incredibly inspired by the geometry scrapbooks that Jennifer Abel's students have created! Also, check out this Law of Syllogism project! Liz Mastalio shares a great activity for modeling exponential decay that uses bingo chips and stickers. Looking to collect bivariate data with your students? Kerry Conrad shares a data collection idea that I wish I'd thought of myself! Looking for a fresh idea for scaled drawings? Katie Madigan suggests using fun-sized candy bars. How creative! Debbie shares a "star" of a math problem! I love how Kathy Henderson took the Two Truths and a Lie template I shared and turned it into a gallery walk for her students. When I used to teach Algebra 2 (back when conics were still in the Oklahoma standards), I used to always give my students a conics flow chart. It was fill-in-the blank, and I loved it. Now, I'm wishing I had taken the lead of Sara Goldrick and had students unscramble and assemble a conics flow chart themselves! Leslie Lewis poses an interesting question for us to explore with our students regarding super bowl ad prices. 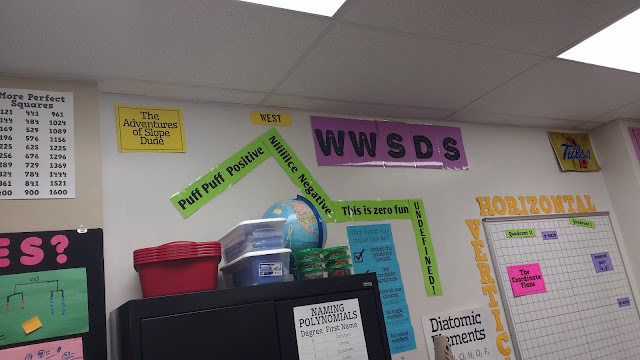 Laura Wheeler shares how she is using wall-space in her classroom to display posters that describe her teaching strategies. I love this idea! Jamie Mitchell has me rethinking my current approach to report card comments. I've always taught polynomial terminology as something to be memorized. I'm inspired by Paul Jorgens to approach the terminology from a notice/wonder standpoint this year instead. I found this graph shared by Cambridge Mathematics of which times tables students struggle with the most to be very interesting. cLarsen shares an awesome task to get students practicing slope and showing their work. I could definitely do a better job of incorporating more data collection into my classroom. I especially like this idea of parachute men for square root functions from Jazmine Castanon. Looking to pretty-up your classroom and give your students practice multiplying binomials? Check out Mrs. Richardson's latest blog post! Have any remote controlled cars laying around your house? Then, you're set to try out this systems of equations lesson from Heather Lintz. Anna Fergusson shares the brilliant idea of creating data cards to make scatterplots. Each data point is printed and cut out with a circle punch. There are multiple pieces of data about each datapoint on the circle, so you can easily change the scatterplot out to look at a different variable. Anna shares a set of data cards for you to print that focuses on Quick Draw data for cats. Until next week, keep up the awesome sharing! So, I've decided that "Five Things Friday" is now just "Five Things" since I have trouble remembering to post on Fridays! Today, I want to share about five games I've been playing lately. 1. 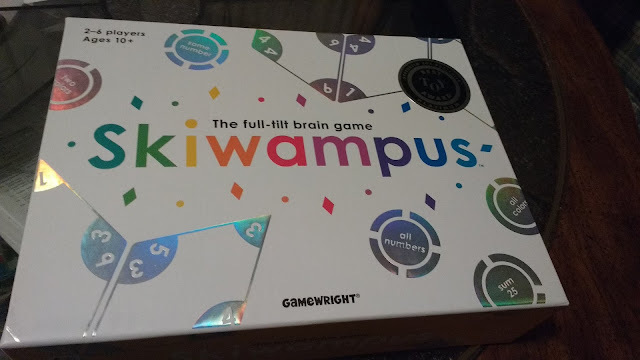 My husband and I played a delightful mental math game over break called Skiwampus (affiliate link). We were both immediate fans of this game. The instructions made the game seem a lot more complicated than it turned out to be. I especially love the versatility of this game. It can be played with anywhere from 2 to 6 players. Each player gets 12 tiles. 3 challenge discs are turned over for each player. So, when my husband and I played, there were 6 challenge discs to be won. When someone says go, each player flips over their types and tries to arrange the numbers in such a way to fulfill one of the challenge discs. These discs say things such as "sum 17" or "two colors" or "all even." When you fulfill a challenge, grab that disc and lay it over the group of numbers that match the challenge. The game is super fast paced, and it's easy to get stuck trying to do one challenge that ends up being claimed by another player. We loved the fast pace of the rounds because it made the game go quickly without dragging on. I look forward to playing this game with my students and writing a more complete review with what they think. Special thanks to my sister for getting this game for me for Christmas (and most of the other games in this post)! 2. Another game we've been playing has been Otrio (affiliate link). This is a tic-tac-toe game with a twist. You can win three ways. 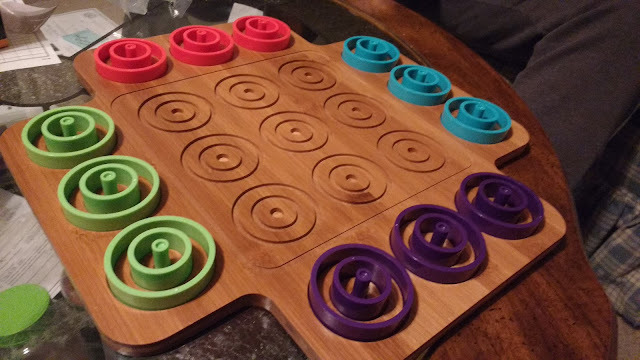 Nest three of the same colored circles in one of the circular areas of the game board. Or, get three pieces in a row of the same size and color. Finally, get three pieces of all different sizes and the same color in a row. 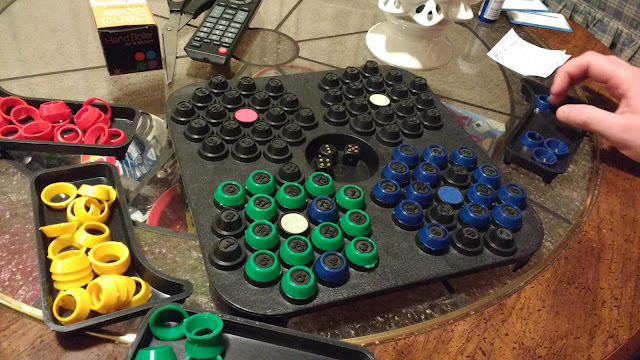 My husband and I found the two-player directions to be a bit confusing because each player has to play with two different colors. We think it would make a more interesting (and less confusing) game with 3 or 4 players. I've been told on twitter that this game is best with three players. I've found this game much more interesting (and challenging) than the typical tic-tac-toe based game. I definitely recommend it! 3. 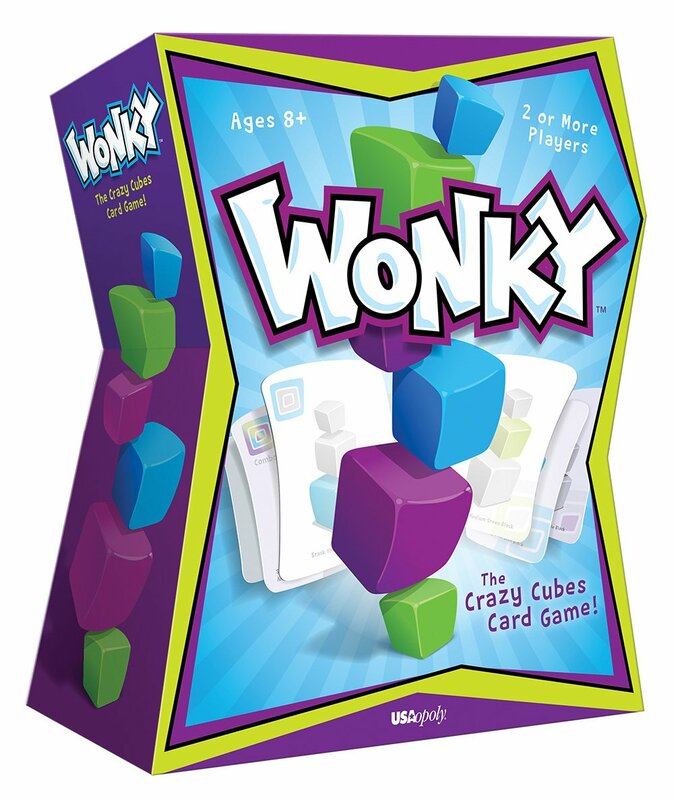 Another game we got for Christmas was Wonky (affiliate link). 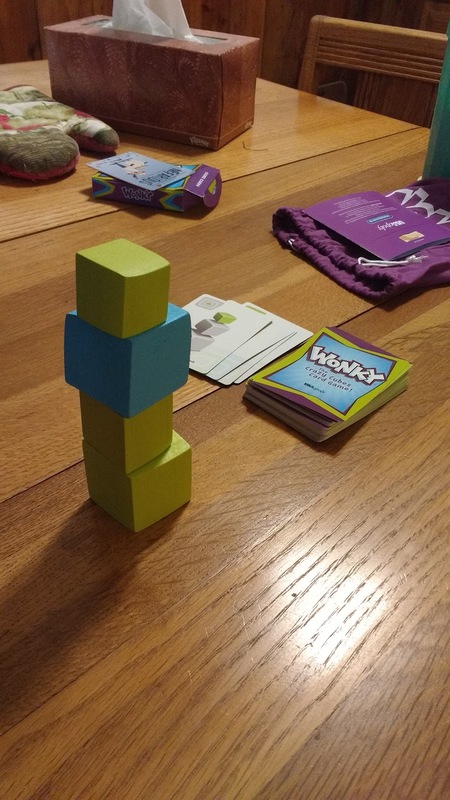 I've decided that this game is what you get if you combine jenga, uno, and a desire to sabotage your opponents. You have to figure out how to play the cards in your hand to build the tallest tower possible. If you knock the tower over, you have to draw more cards to add to your hand. The goal is to be the first person to empty their hand of cards. This could be easy or hard depending on how devious your opponents are. Each of the game cubes has flat sides and wonky sides. So, they can make the challenge very easy or very difficult. My husband and I played a game with just the two of us and a game with my entire family. We found it to be a much more fast-paced and interesting game with the larger group. 4. 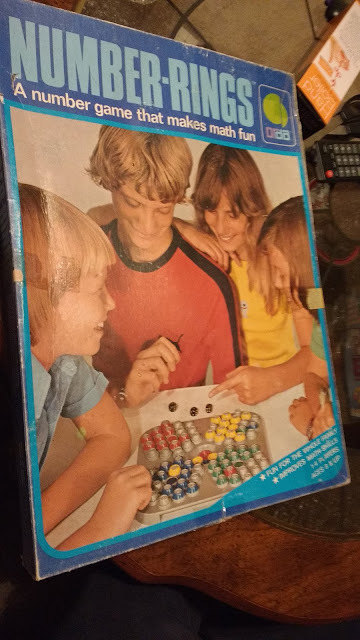 When my husband and I got back from Australia this summer, we came back to find that my mom had picked us up a math game at the thrift store. Number Rings claims to be "a number game that makes math fun." We didn't have a chance to give this game a try until Christmas Break. It turned out to really be a fun one! The goal of the game is to roll three dice and cover as many of the 18 numbers in your sector of the game board as possible. If you roll a 3, 5, and 2, you could cover 3, 5, and 2. Or, you could do 3 x 5 + 2 and cover 17. If you can't cover a number in your own sector, you can block a number in another player's sector. This turned out to be a great mental math and strategy game. You can still find copies of this game available under the names Number Rings and Sector 18. 5. After the NPR story aired about me a few years ago, I received a bunch of gifts in the mail. One gift I received was a Puttle set. The only problem was that I didn't have a putter to use with it. Our golf course in town recently closed, and somehow all of the golf clubs ended up in the office of our high school. Don't ask because it's a really long, confusing story. Our secretary was getting VERY tired of having golf clubs everywhere, so I asked if I could take one off her hands. She had to have our former golf coach pick out a putter for me because neither of us knew which one was a putter! 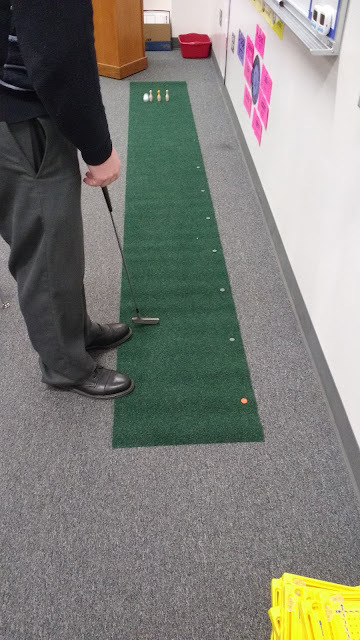 My husband and I gave the game a shot the other day after school, and we realized that neither one of us excels at putting. 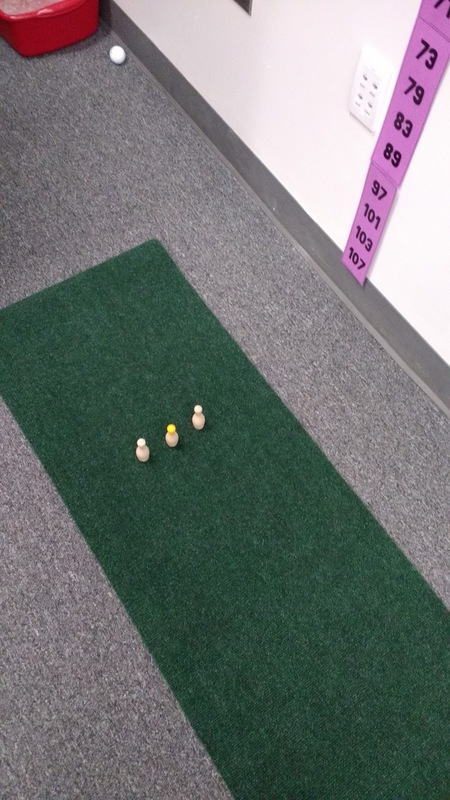 Now, I'm working on trying to turn this putting game into a review game. I'll keep you all posted once I figure it out! It's January, and I'm still finding new things that need to go up on the walls of my classroom. It's a bit of an obsession. Don't believe me? Just take a look at my classroom! For the first few weeks of the semester, we worked through the 1st-4th grade book (affiliate link). 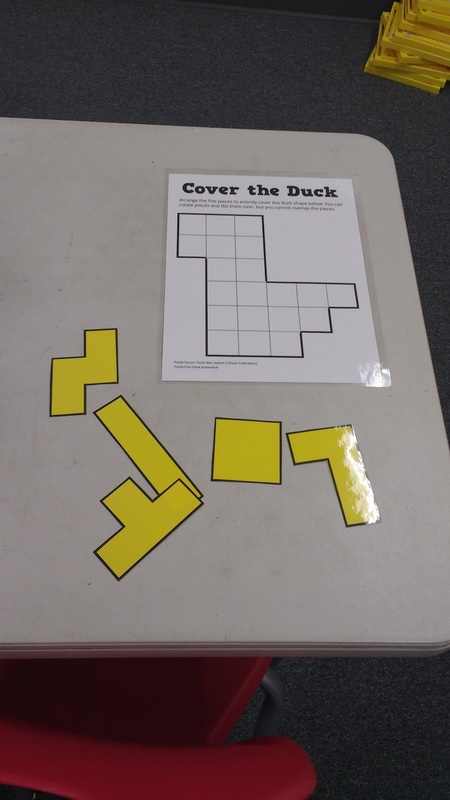 I did NOT tell my students that they were working on puzzles meant for 1st-4th graders. 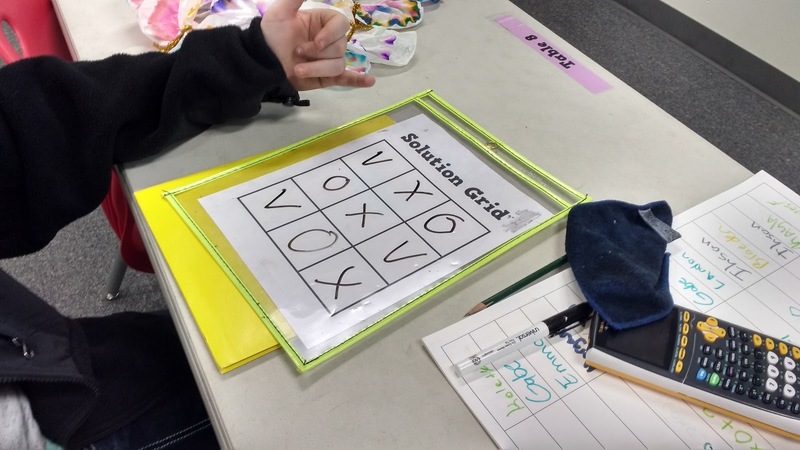 Students are given 9 letters (3 X's, 3 O's, and 3 V's) to place in a 3 x 3 grid to satisfy a number of provided "clues." The puzzles come in three different levels based on the number of fixed clues that are given. Here's an example of a Level 1 puzzle. The puzzles increase in difficulty throughout the book until there are no fixed clues given. Here's an example of a Level 3 puzzle. I typed up a solution grid template and each student uses a dry erase pocket (affiliate link) to solve their puzzle as a daily warm-up. My kids were hesitant about these puzzles for the first few days, but after they started understanding how they worked they got really into them. 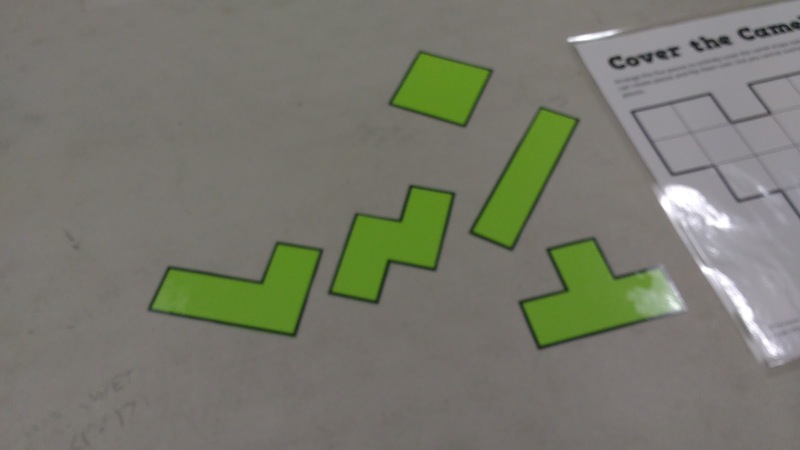 I found that three of these puzzles made the perfect length of warm-up for my math concepts students. Keep in mind, these are students who are in 9th grade but who aren't ready for 9th grade level math. 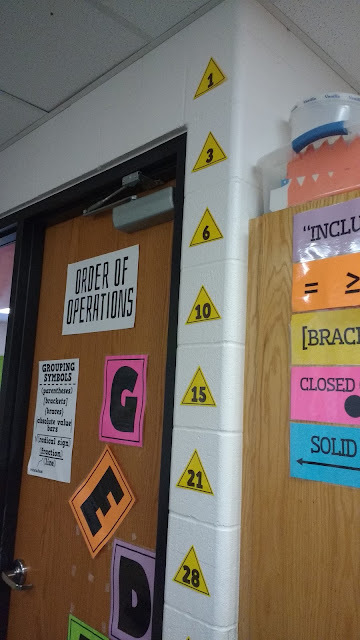 At my school, this means they aren't ready for Algebra 1. 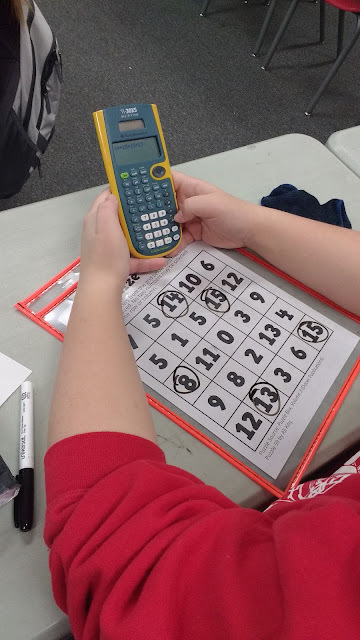 So, I'm happy to be giving them tasks that are improving their reasoning skills since I believe that reasoning is a crucial prerequisite for high school level math classes (and all math classes for that matter). The first week or two of these puzzles were incredibly easy for my students once they got the hang of it. They should have been easy since they were elementary level puzzles according to the book. The last week or so of puzzles became increasingly tricky because they required higher levels of reasoning. But, they weren't impossible, so my students still felt a huge sense of accomplishment. This week, we finished off the 1st-4th grade level book and started on the second volume which is designated for 4th-8th graders. These puzzles definitely take a leap in difficulty level between the first volume and the second volume. Take a look at the first puzzle in the 4th-8th grade book (affiliate link). All of a sudden, we are using the numbers 1-9 instead of letters of the alphabet. And, there are all these weird symbols that we need to know the meaning of. The squares stand for perfect squares. The cubes stand for perfect cubes. Luckily, I have posters of the perfect squares and perfect cubes on my wall! Download the file for these posters here. The last symbol is a triangle which stands for triangular numbers. My students quickly realized I didn't have the triangular numbers on my wall anywhere. Well, that was true until yesterday during my planning period when I printed and laminated a set of triangular number posters. I love that I've become the type of teacher with the reputation that every new concept we learn in my math class should be able to be found somewhere on the wall. 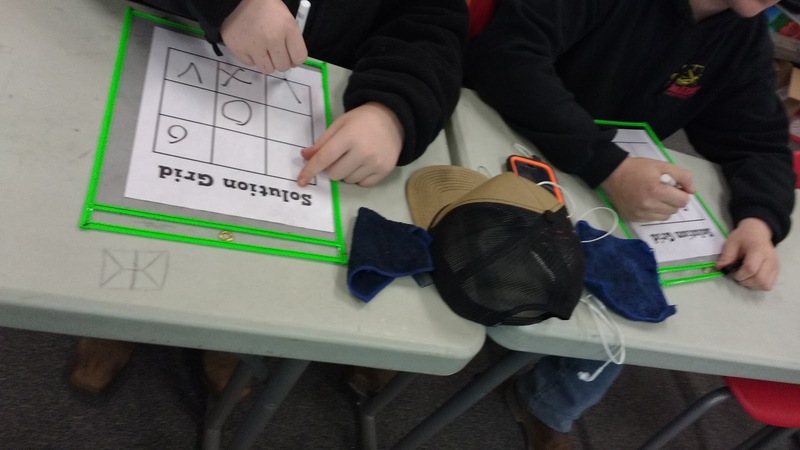 My students have needed a lot of help and modeling to tackle these new "That's Logical" puzzles, but I think after a few days that my students are starting to get it. A few students are refusing to try, but I'm not sure what to do about that. I'm sure our experiences with these puzzles will continue to improve as we continue doing them as a daily warm-up. These puzzles take quite a while longer than the other puzzles, so I'm only allowing time for two of these puzzles each day. 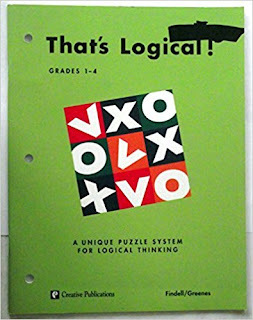 Want to get your hands on these "That's Logical" puzzles? You can pick up used copies of the puzzle books on Amazon. Here's the links (affiliate) for Grades 1-4 and Grades 4-8. There are also some pdf scans of both books floating around on the internet that are of questionable legality. I won't post a link here, but they are quite easy to find with a google search. 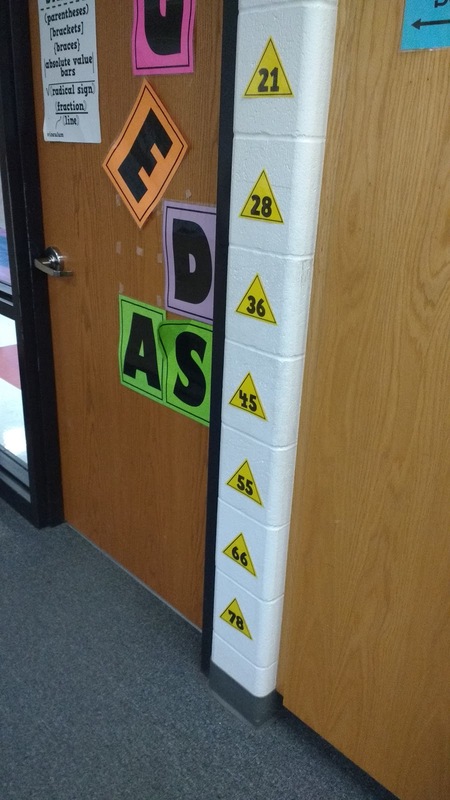 Want a set of triangular number posters for your classroom? I've uploaded the files here. How Big is the Nucleus of an Atom?